Their supporters and constituents are applying pressure on Speaker Boehner and President Obama not to yield on their fervently held positions. Boehner's supporters want him to hold firm on any tax increase and to insist on deeper cuts in "entitlement programs," including Social Security, Medicare, and Medicaid. Obama's supporters want him to hold firm on rejecting any cuts in Social Security, Medicare, and Medicaid and to insist on higher taxes for the well-to-do. If there is to be an agreement, each side will have to yield a bit and risk angering their fervent ideological supporters. I'm not going to try to propose a compromise that both sides might be willing to live with, at least temporarily. They'll have to find the compromise by themselves. In a previous essay I repeated Bismark's comment that compared crafting legislation (i.e., reaching compromises that both sides will grudgingly accept for the time being) to making sausage. It's better not to publicize all the ingredients. The same bit of wisdom applies to the present problem. What we need is less publicity already! Boehner and Obama are probably both willing to agree on a compromise that will anger their respective supporters. Neither one wants to give the suppporters of the other any talking points. This is a case where an agreement should be reached without publicity, in the secrecy of the darkened smoke-filled room, or wherever secret agreements are made. When the agreement is published, it should be filled with words, especially legalese words and phrases, designed to prevent the public from immediately finding out some of the less savory parts of the deal. I'm sorry to say it, but this is a case against open democracy, with everybody following the Brown Act and voting openly on every little detail. It's also a case in favor of something that Professor Harry H. Kimber once said: Democracy won't work unless there is agreement on fundamentals. 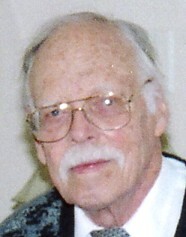 Professor Kimber gave courses in history when I was a student at Michigan State College (now Michigan State University). The disagreement that bedevils us is the vision of what the future should be like for Americans. Shall we enjoy the blessings of universal health care, adequate retirement income, and a cooperative society? Shall we instead enjoy the freedom provided by lack of a nurturing or supportive government and instead rely on our wits and individual strengths to compete with each other for available resources? We will have to decide that before open democracy will provide its blessings. So-called Conservatives have been attacking Social Security since the 1950's. Some time in that era I was working in New York on a Navy project run by Columbia University. One of the workers in the group expressed his disdain for Social Security. He was sure that by the time he was ready to retire, Social Security wouldn't be around any more. I wondered at the time where he got that idea. None of my close friends ever talked about Social Security. In the newspapers and magazines that I read there was no mention about the end of Social Security. But this young man was convinced. He could not rely on Social Security. It was a fraud. His payroll tax money was simply going to disappear. He would never get to enjoy a guaranteed retirement pension provided by the government. Now it is my understanding that there has been for many years (seventy or more) a campaign to spread the idea that Social Security isn't going to stay. Sooner or later it will fail or be abolished. It seems to me that the supporters of this rumor are trying to create a belief in the public's mind that will lead to the abolition of the present government sponsored and guaranteed retirement pension. Here are some suggested reasons. The people who support this belief accept the view of Margaret Thatcher, former PM of England. She once said that we do not live in a society. We merely live in the same part of the world. There is no society. We merely compete with each other for available food, shelter, jobs, etc. If you support this view of the world, you will be opposed to anything that any government tries to do to help people. It's wrong to help people. Let them struggle. That is, opposition to Social Security is based on moral grounds. None of my tax money should be used to provide any benefit to other persons. Some of the opponents to Social Security are managers of large companies and corporations. They have no moral or philosophical objection to Social Security. They see it as a way for older workers to escape from the market place. Social Security reduces the number of individuals who can be induced to work for starvation wages. The result is that these managers have to pay more than they believe they should for labor. To them, labor is just another commodity, to be purchased where it is the cheapest. In addition to their opposition to Social Security they welcome Free Trade agreements that allow them to site some of their factories in countries with particularly cheap and compliant labor. I am familiar with a third type of opposition. I'm not sure whether it is really distinct from the two types listed above. Anyway, it involves the increase in longevity of American workers. When Social Security was introduced in the 1930's the retirement age was set at 65. The reason was that life expectancy for workers in many industries was less than 70. Many workers retired on Social Security pensions at age 65 and died within just a few years. The fraction of the population receiving pensions was small and had no discernible effect on the cost of labor. Today life expectancy is close to ninety. Because of advances in treating ailments of us elder citizens, we are living longer than we used to. Already the ratio of Social Security recipients to workers who pay the payroll tax to support us recipients is about one to two. As the population ages, that ratio will decline. Eventually there may be more people living on Social Security than there are payroll taxpayers. The conclusion of this type of analysis is that the whole system is unaffordable. I can argue without convincing believers in this type of opposition that one should not look at who pays the payroll tax and how much they pay but look at the total output of goods and services to see whether there is enough to support such a large population of retired people. I am convinced that there is enough. I welcome your ideas, comments, and suggestions. News is scarce. Newspapers can't afford many reporters who scout around for news items. It's cheaper to print what is provided by the various wire services. These days the newspapers are full of the various problems that Congress and the President are having in negotiating a law to replace the scheduled Simpson-Bowles scheme for automatic spending reductions and restoring the Clinton tax rates. This plan has been given the name "fiscal cliff." To keep us entertained, the news media are giving us daily details on what Speaker Boehner has proposed, what President Obama has proposed, Mr. Boehner's problems with his supporters in Congress, etc., etc., etc. A famous politician from history, Otto von Bismark, Kanzler of the German nation, commented that crafting legislation is a lot like making sausage. In either case it is not a good idea to watch the process too closely. We are seeing the wisdom of Bismark today. The publicity given to the problems of reaching an agreement on how to avoid the "fiscal cliff" is in danger of impeding progress toward an agreement. Anyway, this is one of the little problems in creating the sausage of legislation.